Protests have erupted in Poland after a bitterly contested law about the country’s judiciary came into effect at midnight. 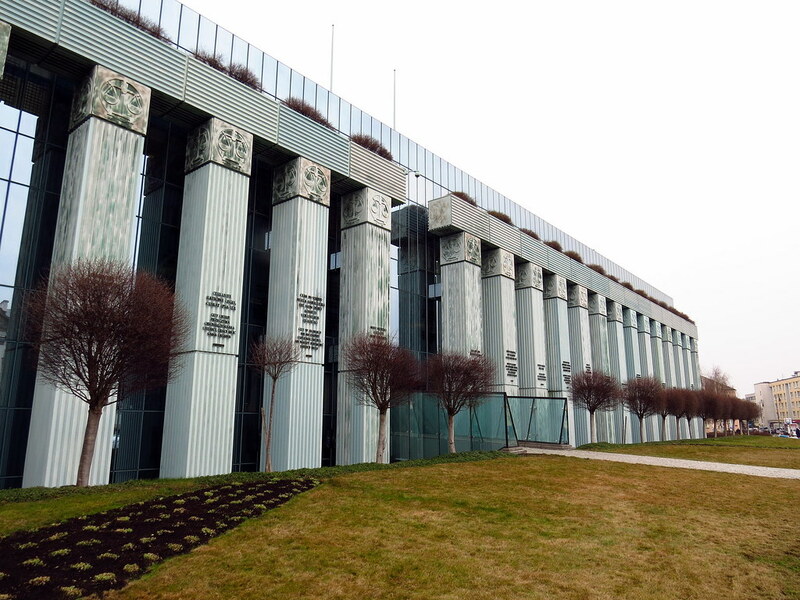 The new legislation will force a swath of Poland’s supreme court judges into early retirement. Those above 65 — almost 40 per cent of the court’s members — must step down today unless Poland’s president Andrzej Duda agrees to extend their terms of office. Among those forced out by the new legislation is Malgorzata Gersdorf, the head of the supreme court, who has accused the government of seeking to “purge” the judiciary. Gersdorf also took aim at the broader series of judicial changes enacted by the Law and Justice party since it took office in 2015, including giving politicians power over the body that appoints judges and a law that allows the justice minister to fire the heads of courts without consultation. All of these changes have led Brussels to take the unprecedented step of launching a probe into whether Poland still complies with the European Union’s fundamental values. Last week, the EU reached an agreement on opening accession talks with Macedonia and Albania. France was among the countries that were against opening the talks immediately. As a compromise, it was agreed that talks will begin in June 2019 if reforms continue to deliver concrete results. At the EU-Western Balkans Summit in May, French President Emmanuel Macron stated that there could be no enlargement before a deepening of the EU. These words contradicted his speech at the Sorbonne last year, where he made a strong case for a united Europe led by a clear vision which does not back down in the face of anti-European forces. Skopje’s name deal referendum may fail this autumn, which would entail the government’s resignation. Likewise, the 2019 election in Greece could bring to power a government opposed to any deal with Skopje. Therefore, blocking the opening of negotiations is a very risky move for no political gain for Macron, for pro-EU parties and for the EU itself. The Balkans is the only region where the EU has the power to design a new reality, but it is also the region where the EU has failed the most. If the EU is to assert itself as an autonomous and powerful actor, the quest starts in the Balkans. A whopping 84 percent of the Israeli public believes that if the country faced an existential military crisis, the United States would come to its aid. 62 percent believe the special relationship between the two countries will endure, compared to only 24 percent who fear it may weaken or collapse. Confidence in the strength of the US-Israeli alliance is widely shared across the spectrum, including Israeli Arabs, though they may see the alliance in a negative light. Only the ultra-Orthodox harbor doubts. A Pew Research poll conducted last year showed that Israel is the only democratic country in which confidence in the US president ability to handle world affairs remained unchanged following Trump’s election, and actually went up a notch or two. Israeli expectations of Trump’s blueprint for the “ultimate deal” corroborate Palestinian apprehensions. 44 percent of the public expects the plan to be “pro-Israeli,” compared to only 7 percent who fear it might be pro-Palestinian and another 31 percent who think it will be balanced. 68 percent of Israelis approve of Prime Minister Benjamin Netanyahu’s management of the special relationship with the US. Netanyahu gets substantially lower marks, however, for his handling of relations with American Jews.